Football season here, so I am sure the use of the "man chair" is in full swing. One of my biggest fears is that my future husband have this huge ugly leather club chair or recliner that he refuses to part with. The whole consolidation of furniture thing kinda freaks me out. I like my stuff... Just being honest. I'm not sure if my future home will be rustic like these spaces, but these photos prove a point. All of these chairs are big, brown, old and unappealing- by themselves. But they have been jazzed up with throw pillows and beautiful throws. The accessories nearby compliment the chair as well. Did any of you have a crazy experience when you consolidated your furniture with your significant other? These are great pics, but it assumes your working with a man who has a modicum of taste. They're worn, but neutral and, when new, tailored. It's akin to the super comfortable, favorite, but now holey jeans that refuse to go in the trash. You can still dress around them. Now if your future man's fave Sunday afternoon chair is an obnoxious hunter green, overstuffed muppet chair there is no saving it. Think graffiti-ed Joey Buttafuoco pants. Those go directly to the curb. 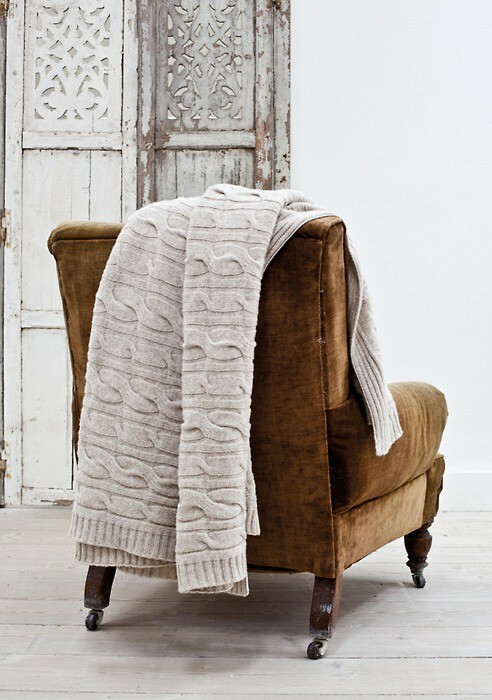 Love the texture of the chunky knit against the chairs in each pic! Thanks for sharing. Oh, we had the nasty falling apart lazy boy! However, it turned out to be a saving grace with a baby with reflux!! Saved all the good furniture. And after, that the chair was toast so out it went. Gotta love my first born for that one!! 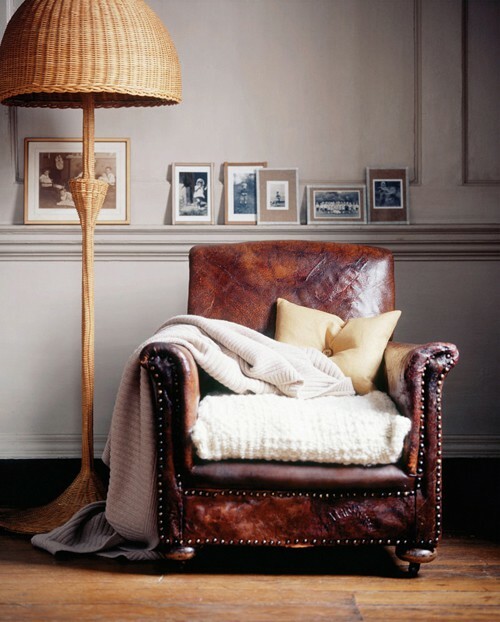 Love a comfy leather chair...that's worn in worn looking! 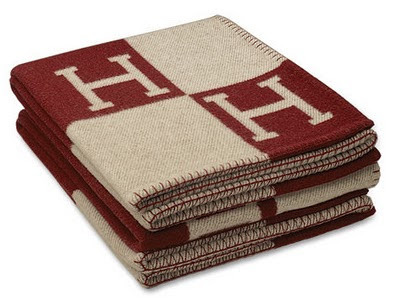 Very rustic...I think the blanket adds a nice touch! I love these chairs, always have! Oooo. 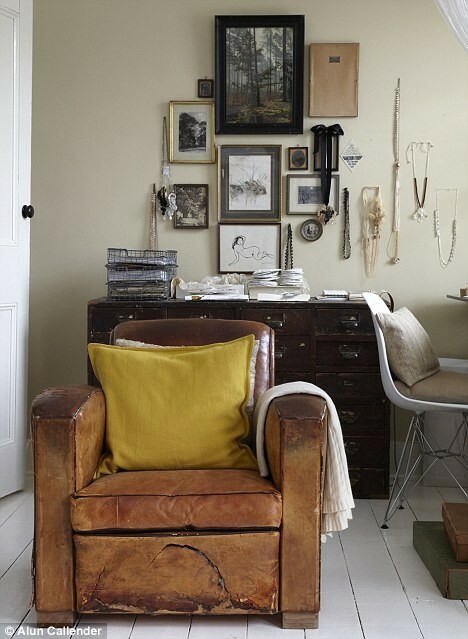 I do so want a worn leather chair like one of these! Gorgeous. But I'd also settle for a butterfly chair with a chesnut colored leather cover!